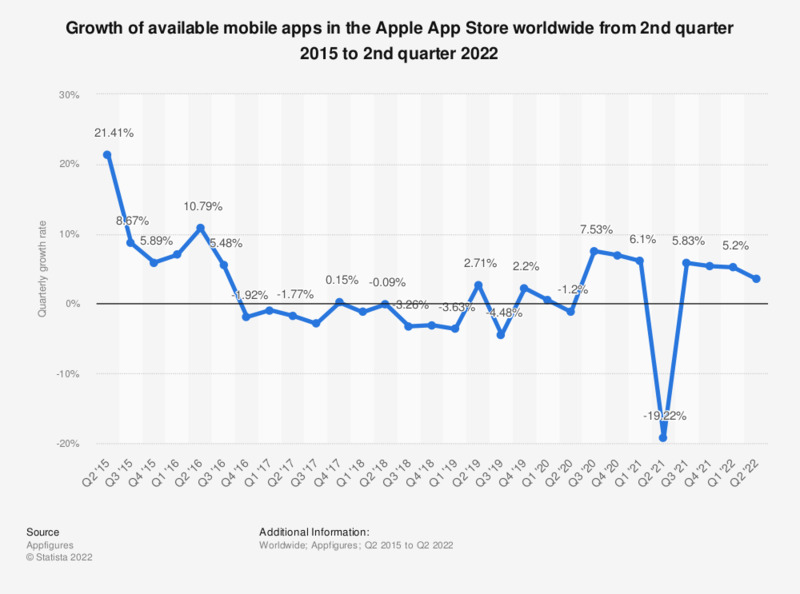 This statistic presents the growth of available mobile apps in the Apple App Store worldwide from the second quarter of 2015 to the fourth quarter of 2018. During the most recently measured period, mobile app growth in the Apple App Store decreased by 3.09 percent compared to the previous quarter. Would you like to invest in any of the following business apps?